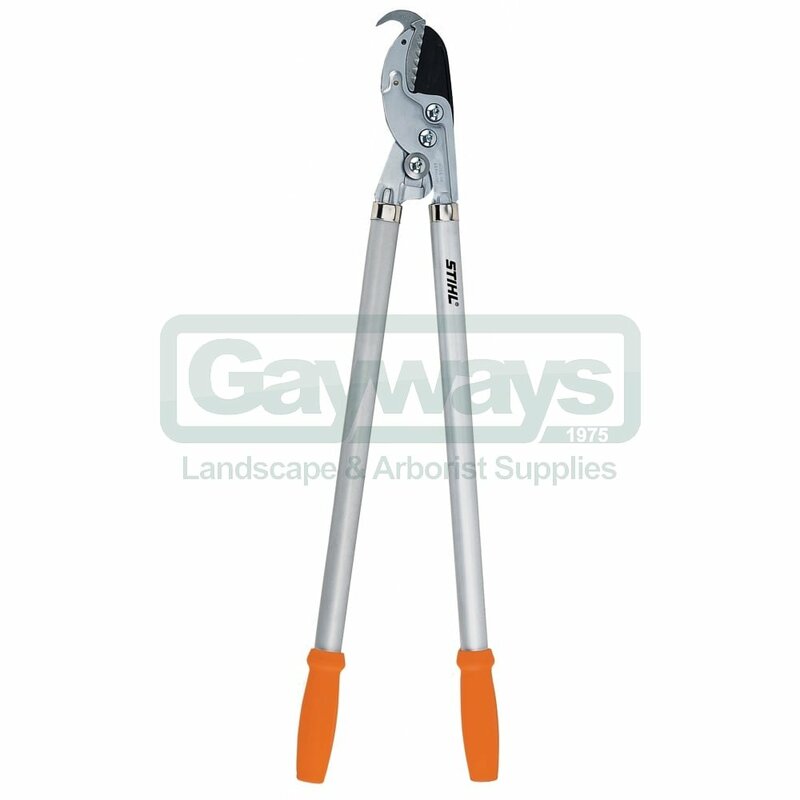 Professional version of the anvil pruning shears for hard or dead wood. Replaceable, non-stick coated blades to prevent jamming. Replaceable anvil with holding grooves and scriber hook for loosening wedged branches. Pull-to-cut and internal force transfer save your energy. 80cm 1.46kg with 48mm cutting diameter.